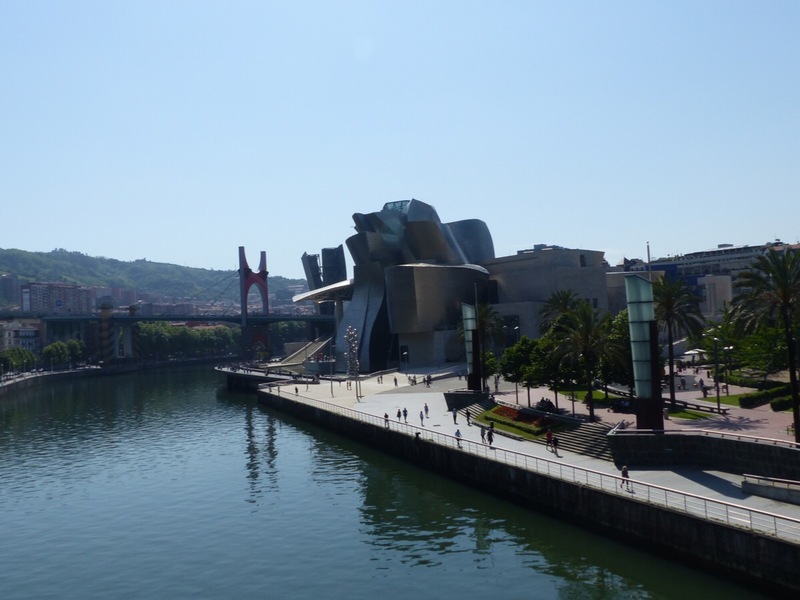 While staying in San Sebastián in northern Spain earlier this year we did a side trip to Bilbao. We caught a local bus and drive through some pretty Basque countryside for about 1 hour and 30 minutes. 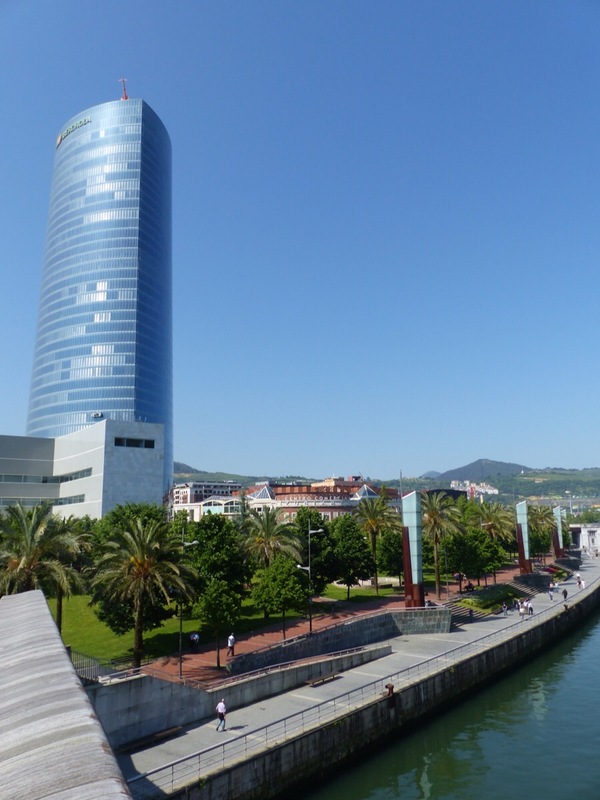 Bilbao is the largest city in the Basque Country. It was founded in the early 14th century by Diego Lopez V de Haro and became the commercial hub of the area because of its port activity. It became heavily industrialised in the 19th century and the beginning of the 20th century. Now it is a busy service city and is famous for the Guggenheim Museum which attracts visitors from all over the world. The bus dropped us at the edge of the newer part of the city. 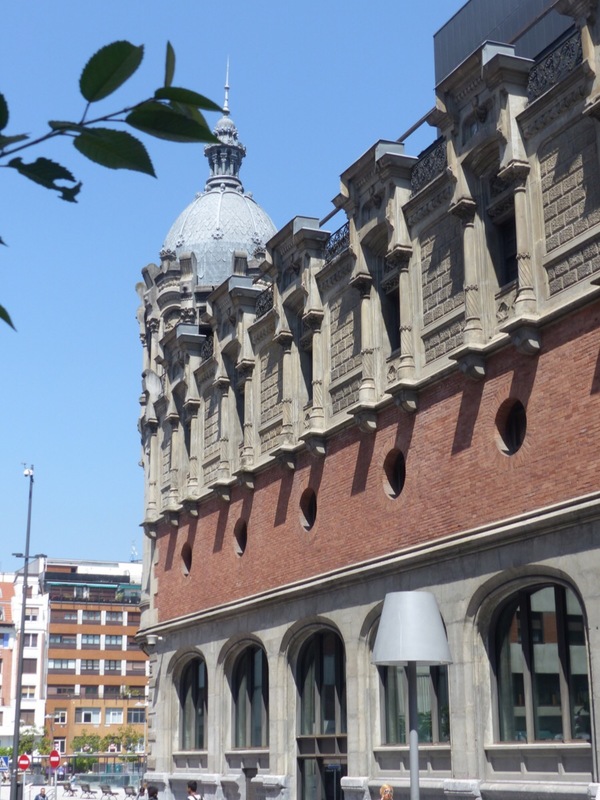 It is a mix of architectural styles…gothic, Art Deco, Art Nouveau, Neo-Gothic and contemporary. The river is lined with attractive buildings and looked impressive on a sunny spring day. The Guggenheim Museum is spectacular…more on that in the next post. The photo is a bit ordinary, the light was in precisely the wrong place. 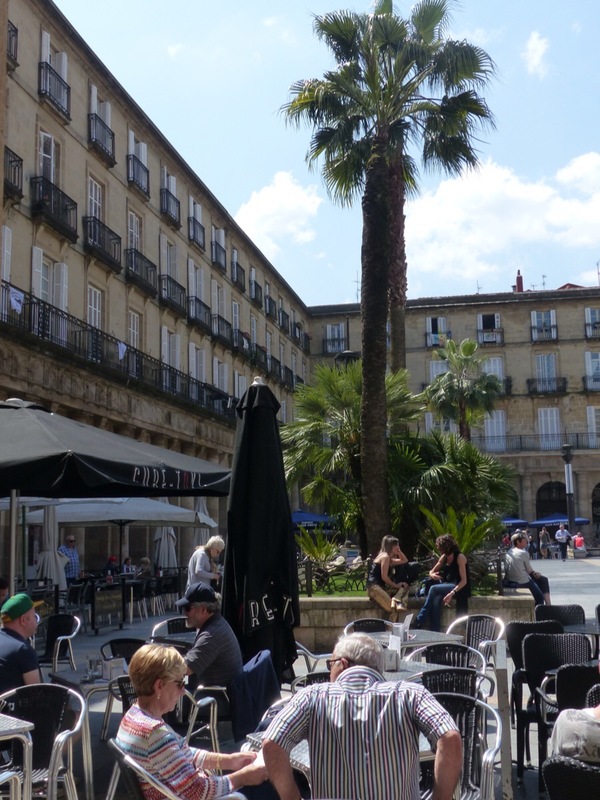 There is a busy pedestrian mall in the centre of the city lined with shops and cafes. 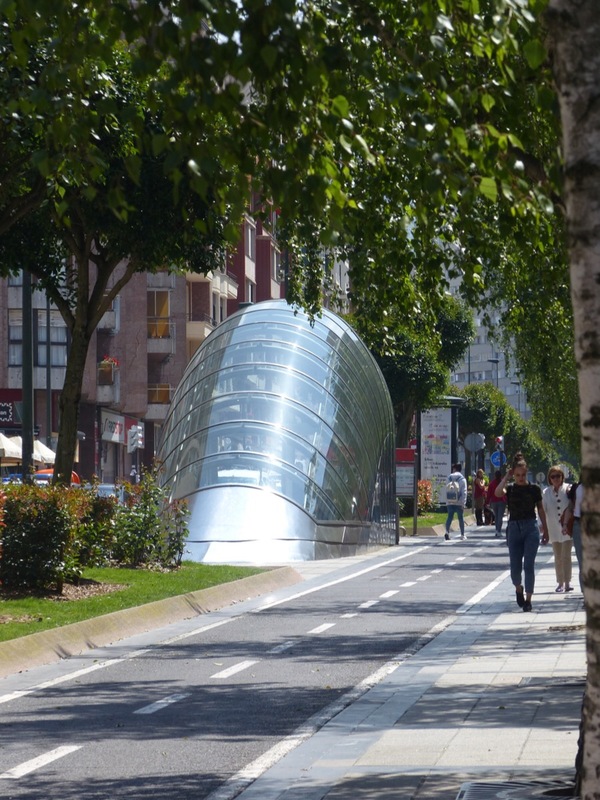 Much more interesting is the old part of Bilbao. It is mostly a pedestrian area and the narrow streets are full of wonderful old buildings with interesting shops and cafes. 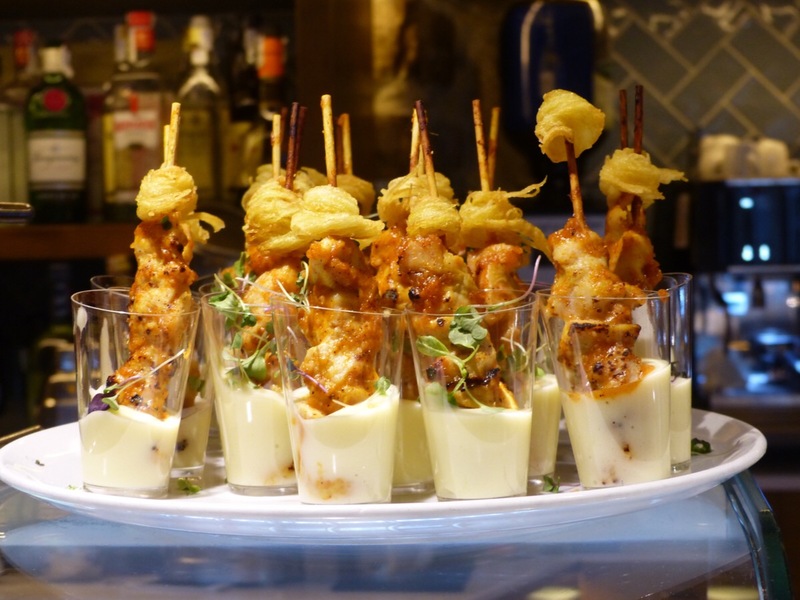 Best of all are the pintxos bars. 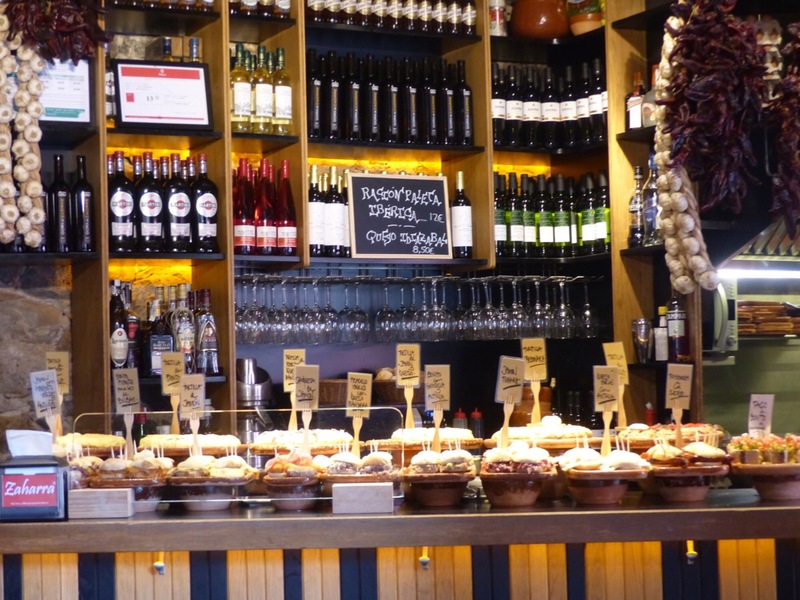 As in San Sebastián we wandered and selected our delicious pintxos from several different establishments. I could get used to this way of eating. On the way back to the bus station we passed an amazing building which seems to be an exhibition area, library and shopping centre. It looks like an old building which has been completely renovated inside. I like the entrances to the subway system. 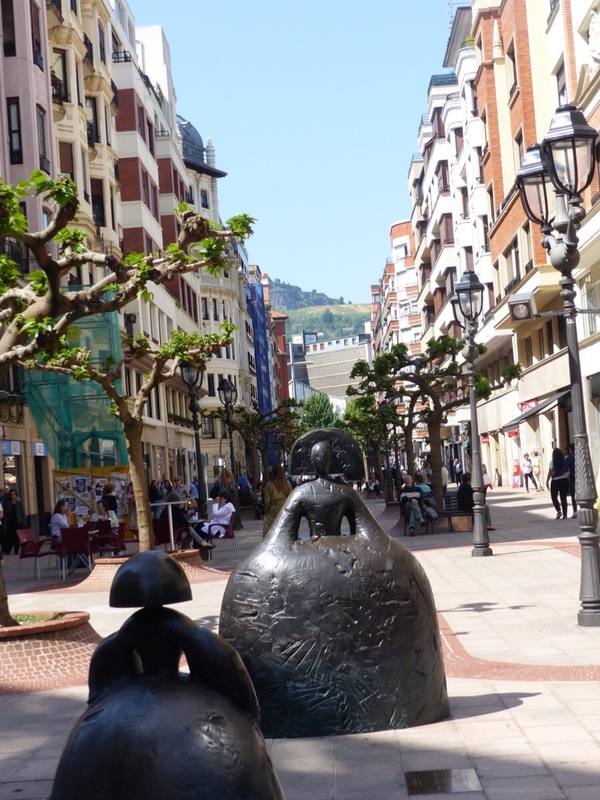 We enjoyed our visit to Bilbao, mostly because of the old city. 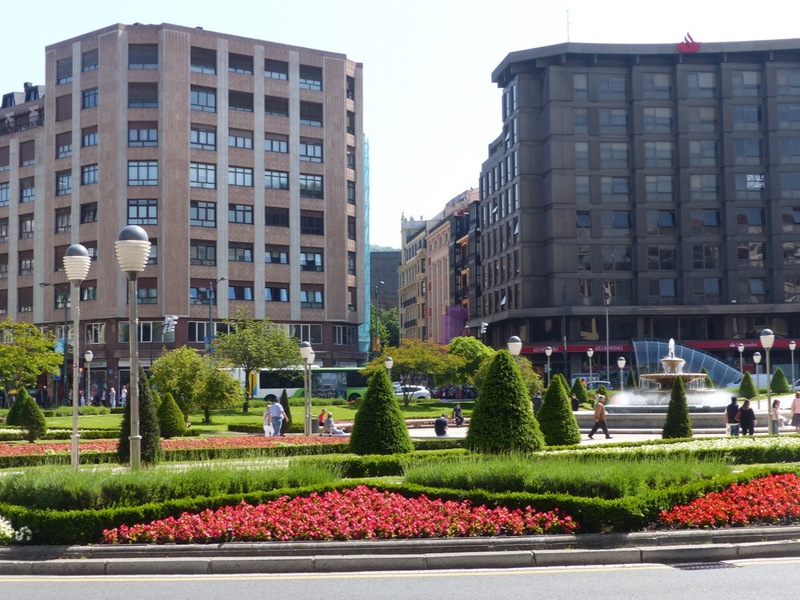 The newer part of town is OK, but we preferred San Sebastián and were very happy that we chose that as our base in the area. More on the Guggenheim in the next post. 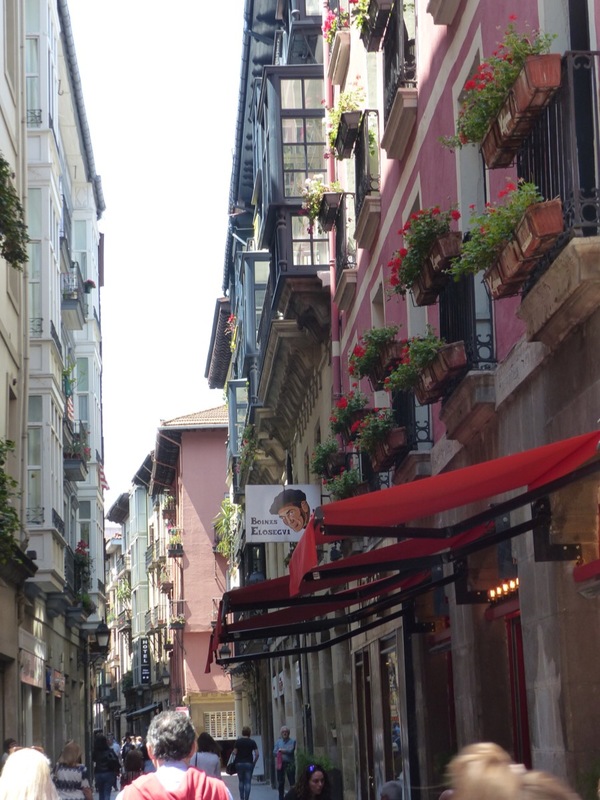 The old part of Bilbao looks very inviting…thanks for the Virtual stroll! The old city is great. We were very happy to wander through the area. Very beautiful post. A much-needed reminder of all the beauty in the World; with its abundance of creativity, Joy in the visual results and the minds behind it all. There IS Peace! Grazie tanto! Travelling opens our eyes to all kinds of wonderful things. 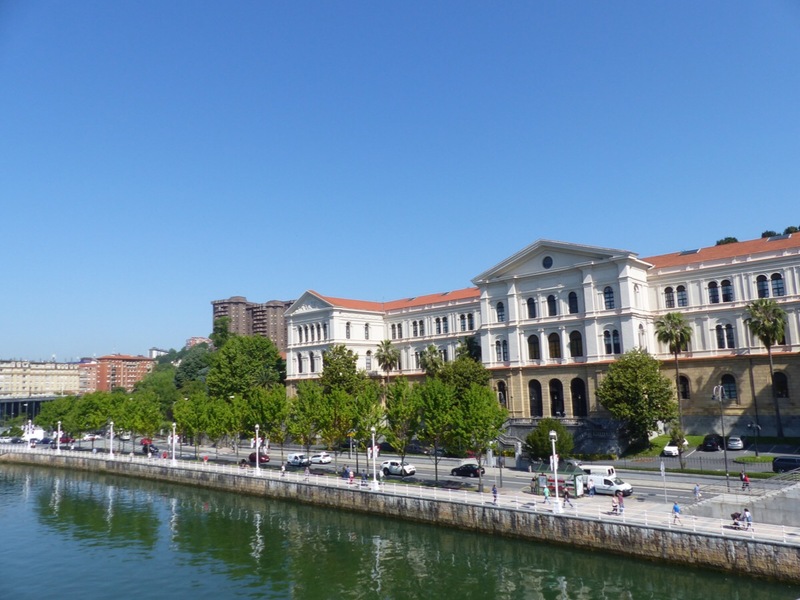 Haven’t been to the Basque region – so thanks for the delightful tour of Bilbao. Cheers to your love for the Old City – so I’m confident I would love that! We liked the old part of the city much more than the newer areas. The local government has done a great job. It is clearly a city that would be a good place to live in. The old part of Bilbao is lovely. We were pleased to find it. Brisbane allowed many of its historical buildings to be destroyed. 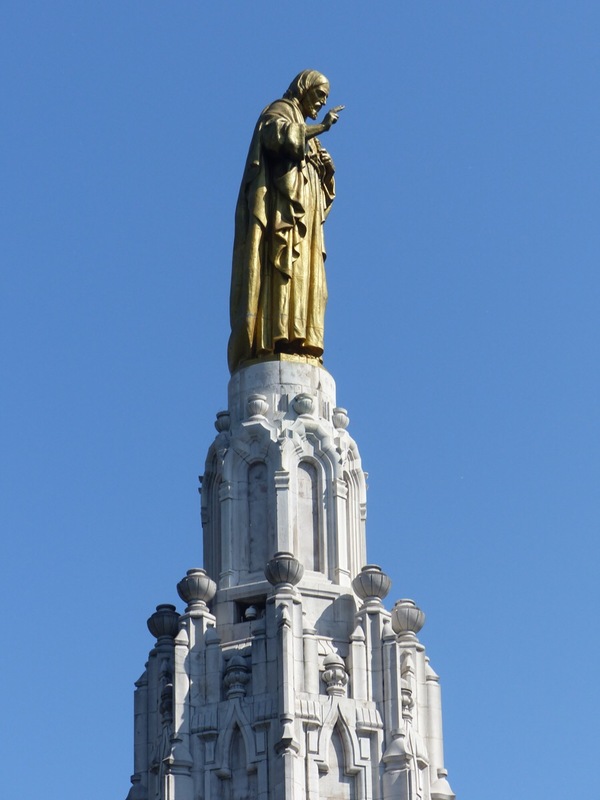 Enjoyed your photos of the old town and noticed those lovely lady statues in the pedestrian mall. Will wait to see the next post on the Guggenheim. The pedestrian mall was lovely. We enjoyed a coffee there. 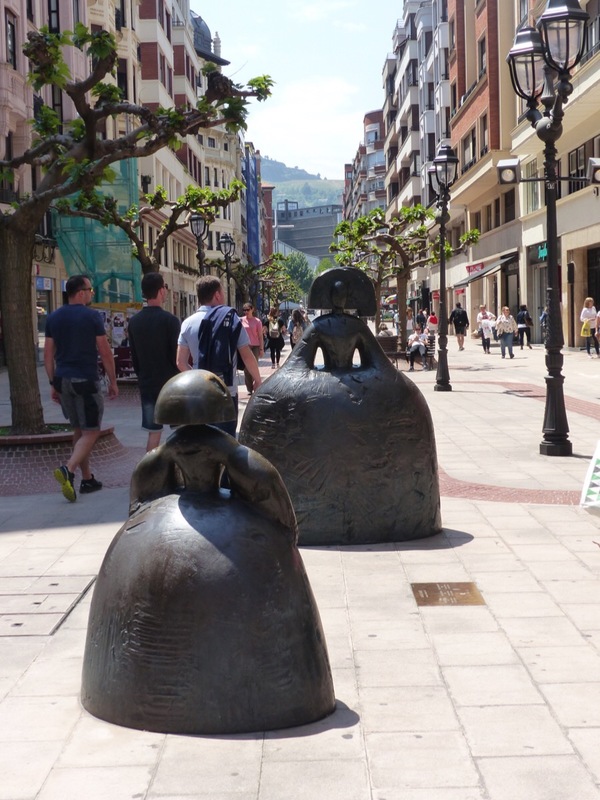 Bilbao was an interesting place to visit.